Left to right: Kalis, Schofield, Lewan and Glasgow. 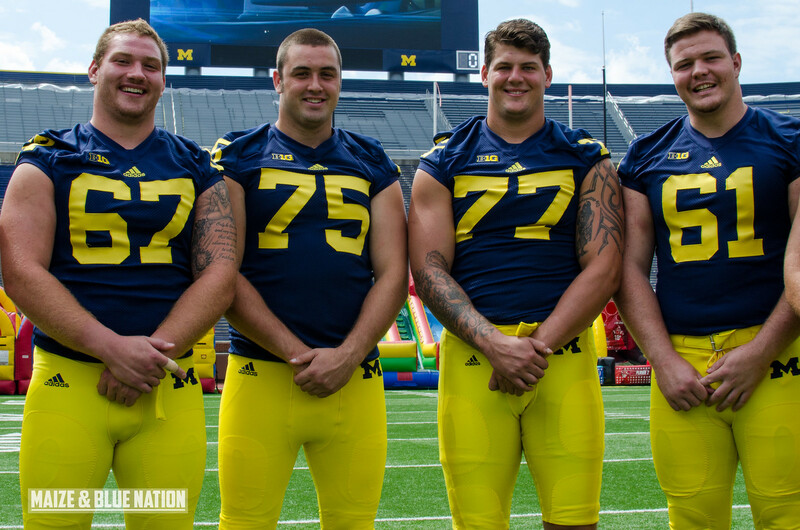 First up, my photoset from today's media day event at Michigan Stadium. Also, check out Hoke's press conference.